There was coverage at the weekend of the latest round of Darwin Plus funding in the Daily Express. 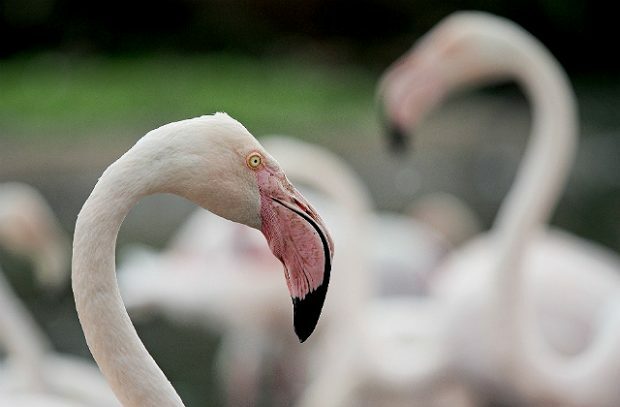 It was reported that the British Antarctic Survey will receive funding to attach radar devices to albatrosses and the Centre for Ecology & Hydrology will work with the RAF to monitor water levels on Akrotiri Salt Lake near the British Air Base on Cyprus, which is home to a flamboyance of flamingoes during rainy periods. These 17 projects receiving funding through Darwin Plus will make a significant contribution to international conservation, demonstrating the UK’s global leadership in this field. Protecting and enhancing nature in our Overseas Territories will help to make crucial activities such as agriculture, fisheries, forestry and tourism more sustainable. The UK’s Overseas Territories have some of the world’s most pristine waters and natural environments, from the polar regions to the Pacific, and we are committed to doing all we can to preserve them. This funding will help conservation projects continue their good work, boosting protections for wildlife in areas including the Atlantic and the Caribbean and supporting sustainable livelihoods which will preserve our precious environment for future generations. As a major landowner in the UK and around the world, the military has a responsibility to protect and enhance our environment. I’m delighted that a project in RAF Akrotiri has been successful in securing a grant from Darwin Plus, which will be vital to boost conservation efforts in the region. This work will run alongside other conservation projects across the defence estate, including restoring the 99-year-old Bulford Kiwi, cleaning plastics off Tregantle beach and rehabilitating veterans through archaeology. Darwin Plus will deliver commitments in the 25 Year Environment Plan on nature and protection of the natural environment in the UK Overseas Territories. Round 7 of Darwin Plus received 51 applications, the highest number ever. In 2018, 13 projects were awarded funding. The fund is administered by the Department for the Environment, Food and Rural Affairs (Defra), with additional funding support from the Foreign and Commonwealth Office. More information on applying for Darwin Plus funding can be found on Gov.uk.